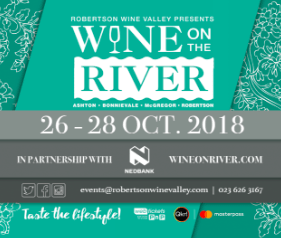 TWO weekend pass tickets to Wine on the River in Partnership with Nedbank in Robertson between 26-28 October 2018. Transport is not incuded in the prize. This competition is run by The Wine Girl Cape Town and is no way sponsored, endorsed or administered by Facebook. You understand that you are providing your information to the Wine Girl Cape Town and Wine on the River and not to Facebook. The information you provide will only be used by The Wine Girl Cape Town and Wine on the River. The competition will run on the Wine Girl Cape Town Facebook page from Saturday, 22 SEPTEMBER 2018 up until and including midnight on Sunday, 30 SEPTEMBER 2018. Winners will be contacted to redeem the prize. o comment on The Wine Girl Cape Town’s competition post on Facebook by tagging the friends who you think would enjoy this awesome wine festival with. Don’t forget to like and share the post and to like the WIne on the River facebook page. Only one entry per person is allowed. The Wine Girl Cape Town, Wine on the River and their delivery agent does not accept responsibility or liability for any loss or damage and will also not be responsible or liable for any further expenses or fees required for purpose of using, applying or enjoying the prize won in this competition. Winners give The Wine Girl Cape Town and Wine on the River, and its authorized agents consent to use their names for publicity purposes, unless refused. The Wine Girl Cape Town and Wine on the River reserves the right to vary, suspend, postpone or terminate the competition and any prizes, or any aspect thereof, for any reasons whatsoever and without notice. In such event, you hereby waive any rights or expectations which you may have against The Wine Girl Cape Town or Wine on the River and acknowledge that you will not have any recourse or claim of any nature against The Wine Girl Cape Town and Wine on the River. TUNING THE VINE – 10 OCTOBER 2018 -competition closed. Congrats to the winner: Jamie Gilson from Cape Town! TWO tickets to Tuning the Vine in Cape Town on Wednesday, 10 OCTOBER 2018. This competition is run by The Wine Girl Cape Town and is no way sponsored, endorsed or administered by Facebook. You understand that you are providing your information to the Wine Girl Cape Town and Tuning the Vine and not to Facebook. The information you provide will only be used by The Wine Girl Cape Town and Tuning the Vine. The competition will run from Thursday, 13 SEPTEMBER 2018 up until and including 5pm on Thursday, 20 SEPTEMBER 2018. In order to enter the competition, you must be over the age of 18 years of age and comment on The Wine Girl Cape Town’s competition post on Facebook by tagging the partner you would share this awesome prize with. Don’t forget to like and share the post. The draw for one lucky winner & announcement will happen on Friday, 21 September 2018. The winner will be chosen by means of a computer generated draw and will not be judged according to the comment given. Competition entry is free and participants may only enter once. Entries are final and may not be changed after submission. You are a Director, member, partner, employee, agent or consultant of The Wine Girl Cape Town or Tuning the Vine. You are an immediate family member, of the persons specified in 8(1) above. You live outside of Cape Town, Western Cape, South Africa. The winner’s full name, email address and cell phone number will be required to claim the prize. The prize will consist of: 2 x tickets to Tuning the Vine. The draw for the winner is final and no further correspondence will be entered into. Winners will be contacted via Facebook direct message from The Wine Girl Cape Town. The Wine Girl Cape Town and Tuning the Vine reserves the right to post content that winners have submitted, i.e. a picture of the winners. The Wine Girl Cape Town, Tuning the Vine and their delivery agent does not accept responsibility or liability for any loss or damage and will also not be responsible or liable for any further expenses or fees required for purpose of using, applying or enjoying the prize won in this competition. Winners give The Wine Girl Cape Town and Tuning the Vine, and its authorized agents consent to use their names for publicity purposes, unless refused. The Wine Girl Cape Town and Tuning the Vine reserves the right to vary, suspend, postpone or terminate the competition and any prizes, or any aspect thereof, for any reasons whatsoever and without notice. In such event, you hereby waive any rights or expectations which you may have against The Wine Girl Cape Town or Tuning the Vine and acknowledge that you will not have any recourse or claim of any nature against The Wine Girl Cape Town and Tuning the Vine. WACKY WINE COMPETITION – MAY 2018 – competition closed. Congrats to the winner = Audrey Jason. TWO tickets to WACKY WINE 2018 in Robertson on Saturday, 2 June 2018. This competition is run by The Wine Girl Cape Town and is no way sponsored, endorsed or administered by Facebook. You understand that you are providing your information to the Wine Girl Cape Town and WACKY WINE 2018 and not to Facebook. The information you provide will only be used by The Wine Girl Cape Town and WACKY WINE 2018. The competition will run from Tuesday, 15 May 2018 up until and including midnight on Wednesday, 23 May 2018. In order to enter the competition, you must comment on The Wine Girl Cape Town’s competition post on Facebook as to why you deserve the prize. Don’t forget to like and share the post. The draw for one lucky winner & announcement will happen on Thursday, 24 May 2018. You are a Director, member, partner, employee, agent or consultant of The Wine Girl Cape Town or WACKY WINE 2018. You are an immediate family member, of the persons specified in 8(2) above. You live outside of South Africa or are unable to make it to the event. The winner’s full name, email address and cell phone number will be required to claim the prize. The prize will consist of: 2 x tickets to WACKY WINE 2018. Winners will be contacted via Facebook direct message from The Wine Girl Cape Town. The Wine Girl Cape Town and WACKY WINE 2018 reserves the right to post content that winners have submitted, i.e. a picture of the winners. The Wine Girl Cape Town, WACKY WINE 2018 and their delivery agent does not accept responsibility or liability for any loss or damage and will also not be responsible or liable for any further expenses or fees required for purpose of using, applying or enjoying the prize won in this competition. Winners give The Wine Girl Cape Town and WACKY WINE 2018, and its authorized agents consent to use their names for publicity purposes, unless refused. The Wine Girl Cape Town and WACKY WINE 2018 reserves the right to vary, suspend, postpone or terminate the competition and any prizes, or any aspect thereof, for any reasons whatsoever and without notice. In such event, you hereby waive any rights or expectations which you may have against The Wine Girl Cape Town or WACKY WINE 2018 and acknowledge that you will not have any recourse or claim of any nature against The Wine Girl Cape Town and WACKY WINE 2018. FIVE tickets to Tuning the Vine in Cape Town on Wednesday, 9 May 2018. The competition will run from Thursday, 26 April 2018 up until and including 5pm on Thursday, 3 May 2018. In order to enter the competition, you must comment on The Wine Girl Cape Town’s competition post on Facebook by tagging the 4 friends you would share this awesome prize with. Don’t forget to like and share the post. The draw for one lucky winner & announcement will happen on Thursday, 3 May 2018. The winner’s full name, email address and cell phone number will be required to claim the prize. The prize will consist of: 5 x tickets to Tuning the Vine. THE STELLENBOSCH WINE FESTIVAL HAMPER COMPETITION – closed. A R1 000 Red Leaf Bistro Voucher, private tasting & Winery Tour for one PLUS a Mixed Case of wines. This competition is run by The Wine Girl Cape Town and is no way sponsored, endorsed or administered by Facebook. You understand that you are providing your information to the Wine Girl Cape Town and The Stellenbosch Wine Festival and not to Facebook. The information you provide will only be used by The Wine Girl Cape Town and The Stellenbosch Wine Festival. The competition will run from Tuesday, 20 Feb 2018 up until and including midnight on Thursday, 22 February 2018. In order to enter the competition, you must comment on The Wine Girl Cape Town’s competition post on Facebook by tagging the friends you would share this awesome prize with and sharing the post. The draw for one lucky winner & announcement will happen on Friday, 23 February 2018. You are a Director, member, partner, employee, agent or consultant of The Wine Girl Cape Town or The Stellenbosch Wine Festival. The winner’s full name, email address and cell phone number will be required to claim the prize. The prize will consist of: A R1 000 Red Leaf Bistro Voucher, private tasting & Winery Tour PLUS a Mixed Case of wines. Winners will be contacted via Facebook direct message from The Wine Girl Cape Town. The Wine Girl Cape Town and The Stellenbosch Wine Festival reserves the right to post content that winners have submitted, i.e. a picture of the winners. The Wine Girl Cape Town, The Stellenbosch Wine Festival and their delivery agent does not accept responsibility or liability for any loss or damage and will also not be responsible or liable for any further expenses or fees required for purpose of using, applying or enjoying the prize won in this competition. Winners give The Wine Girl Cape Town and The Stellenbosch Wine Festival, and its authorized agents consent to use their names for publicity purposes, unless refused. The Wine Girl Cape Town and The Stellenbosch Wine Festival reserves the right to vary, suspend, postpone or terminate the competition and any prizes, or any aspect thereof, for any reasons whatsoever and without notice. In such event, you hereby waive any rights or expectations which you may have against The Wine Girl Cape Town or The Stellenbosch Wine Festival and acknowledge that you will not have any recourse or claim of any nature against The Wine Girl Cape Town andThe Stellenbosch Wine Festival. You can choose to be excluded from direct marketing by notifying The Wine Girl Cape Town orThe Stellenbosch Wine Festival in writing or by registering a block on any registry which The Wine Girl Cape Town andThe Stellenbosch Wine Festival is bound by law to recognise. The Wine Girl Cape Town andThe Stellenbosch Wine Festival will not charge you a fee to update this request on its systems. The Wine Girl Cape Town andThe Stellenbosch Wine Festival will give effect to any changes requested by you as soon as reasonably possible. Congrats to the winner: Heinrich van der Westhuizen. 2 x tickets to a romantic moonlit dinner plus movie at La Grapperia restaurant, Spice Route Paarl on 14 Feb valued at R695! This competition is run by The Wine Girl Cape Town and is no way sponsored, endorsed or administered by Facebook. You understand that you are providing your information to the Wine Girl Cape Town and La Grapperia restaurant, Spice Route and not to Facebook. The information you provide will only be used by The Wine Girl Cape Town andLa Grapperia restaurant, Spice Route. The competition will run from Wednesday 7 Feb 2018 up until and including midnight on Sunday, 11 February 2018. In order to enter the competition, you must comment on The Wine Girl Cape Town’s competition post on Facebook by tagging your significant other and sharing the post. The draw for one lucky winner & announcement will happen on Monday, 12 February 2018. You are a Director, member, partner, employee, agent or consultant of The Wine Girl Cape Town orLa Grapperia restaurant, Spice Route. The winner’s full name, email address and cell phone number will be required to claim the prize. The prize will consist of: 2 x tickets for the moonlit dinner at La Grapperia restaurant, Spice Route on 14 Feb 2018 valued at R695. Travel to and from the event on 14 Feb is not included in the prize and is therefore for the winners own expense. Winners will be contacted via Facebook direct message from The Wine Girl Cape Town. The Wine Girl Cape Town and La Grapperia restaurant, Spice Route reserves the right to post content that winners have submitted, i.e. a picture of the winners. The Wine Girl Cape Town,La Grapperia restaurant, Spice Route and their delivery agent does not accept responsibility or liability for any loss or damage and will also not be responsible or liable for any further expenses or fees required for purpose of using, applying or enjoying the prize won in this competition. 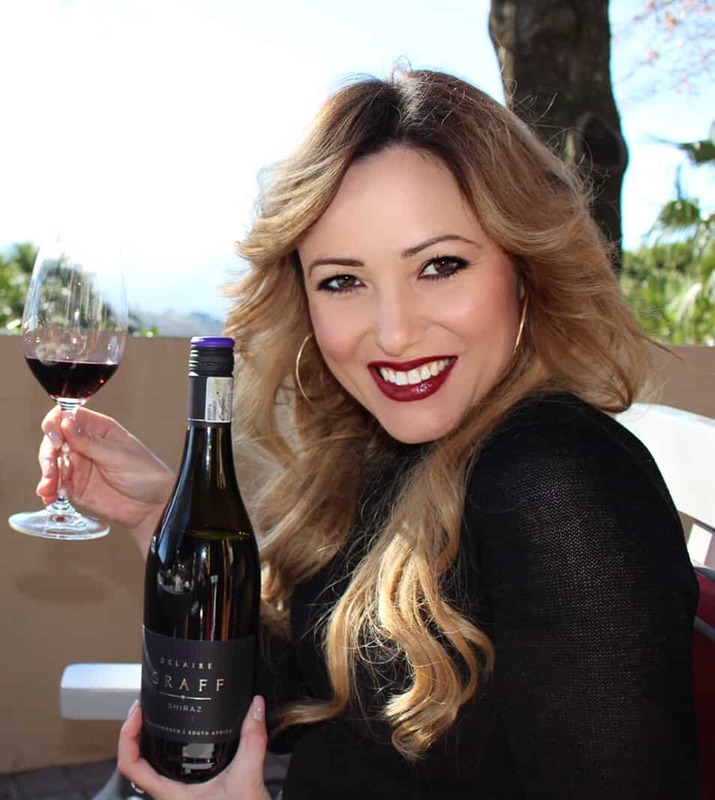 Winners give The Wine Girl Cape Town and La Grapperia restaurant, Spice Route, and its authorized agents consent to use their names for publicity purposes, unless refused. The Wine Girl Cape Town and La Grapperia restaurant, Spice Route reserves the right to vary, suspend, postpone or terminate the competition and any prizes, or any aspect thereof, for any reasons whatsoever and without notice. In such event, you hereby waive any rights or expectations which you may have against The Wine Girl Cape Town orLa Grapperia restaurant, Spice Route and acknowledge that you will not have any recourse or claim of any nature against The Wine Girl Cape Town andLa Grapperia restaurant, Spice Route. By participating in this competition, you consent to (i) the processing of your personal information by The Wine Girl Cape Town,La Grapperia restaurant, Spice Route and other companies in these companies, any of their operators, commercial partners, agents and sub-contractors (who may be outside South Africa) on the condition that they will keep such information confidential; (ii) the collection of your personal information from any other source to supplement the personal information which The Wine Girl Cape Town andLa Grapperia restaurant, Spice Route has about you; (iii) the retention of your personal information for as long as permitted for legal, regulatory, fraud prevention and marketing purposes; (iv) the use of your personal information to send you information about products, services, and special offers of the various companies in The Wine Girl Cape Town orLa Grapperia restaurant, Spice Route that may be of interest or value to you; (v) a credit enquiry being conducted about you with any credit bureau or credit provider and providing your personal information to credit risk management services (including a credit bureau). You can choose to be excluded from direct marketing by notifying The Wine Girl Cape Town orLa Grapperia restaurant, Spice Route in writing or by registering a block on any registry which The Wine Girl Cape Town andLa Grapperia restaurant, Spice Route is bound by law to recognise. The Wine Girl Cape Town andLa Grapperia restaurant, Spice Route will not charge you a fee to update this request on its systems. The Wine Girl Cape Town andLa Grapperia restaurant, Spice Route will give effect to any changes requested by you as soon as reasonably possible. 2 x tickets to the Rose & MCC festival on 3 Feb 2018 valued at R220 each plus 6 bottles of wine. This competition is run by The Wine Girl Cape Town and is no way sponsored, endorsed or administered by Facebook. You understand that you are providing your information to the Wine Girl Cape Town and ROSE & MCC FEST and not to Facebook. The information you provide will only be used by The Wine Girl Cape Town and ROSE & MCC FEST. The competition will run from Tuesday, 16 January 2018 up until and including midnight on Sunday, 28 January 2018. In order to enter the competition, you must comment on The Wine Girl Cape Town’s competition post on Facebook tagging all the friends you would share this awesome prize with. The draw for one lucky winner & announcement will happen on Monday, 29 January 2018.
c) You live outside of South Africa. 9. The winner’s full name, email address and cell phone number will be required to claim the prize. The prize will consist of: 2 x tickets to the Rose & MMC on 3 Feb 2018 fest valued at R220 each, plus 6 bottles of Wine (to be given to the winner at the festival). Travel to and from the event on 3 Feb is not included in the prize and is therefore for the winners own expense. The prize does not include any food. 10. The draw for the winner is final and no further correspondence will be entered into. Winners will be contacted via Facebook direct message from The Wine Girl Cape Town. The Wine Girl Cape Town and ROSE & MCC FEST reserves the right to post content that winners have submitted, i.e. a picture of the winners. The Wine Girl Cape Town, ROSE & MCC FEST and their delivery agent does not accept responsibility or liability for any loss or damage and will also not be responsible or liable for any further expenses or fees required for purpose of using, applying or enjoying the prize won in this competition. 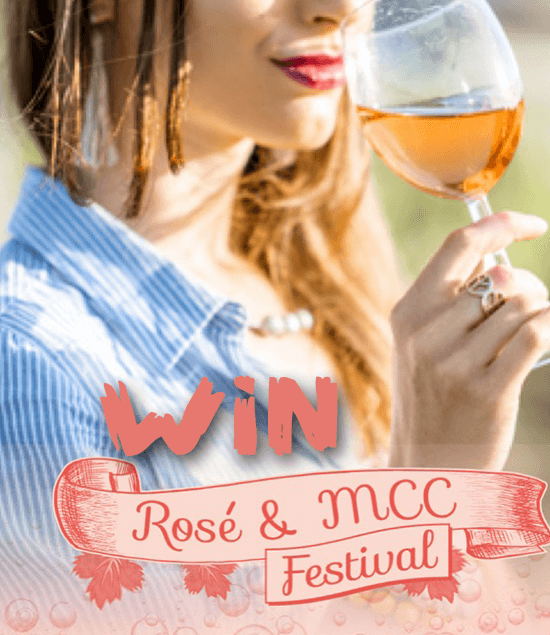 Winners give The Wine Girl Cape Town and The ROSE & MCC FEST, and its authorized agents consent to use their names for publicity purposes, unless refused. The Wine Girl Cape Town and ROSE & MCC FEST reserves the right to vary, suspend, postpone or terminate the competition and any prizes, or any aspect thereof, for any reasons whatsoever and without notice. In such event, you hereby waive any rights or expectations which you may have against The Wine Girl Cape Town or ROSE & MCC FEST and acknowledge that you will not have any recourse or claim of any nature against The Wine Girl Cape Town and The ROSE & MCC FEST. By participating in this competition, you consent to (i) the processing of your personal information by The Wine Girl Cape Town, ROSE & MCC FEST and other companies in these companies, any of their operators, commercial partners, agents and sub-contractors (who may be outside South Africa) on the condition that they will keep such information confidential; (ii) the collection of your personal information from any other source to supplement the personal information which The Wine Girl Cape Town and ROSE & MCC FEST has about you; (iii) the retention of your personal information for as long as permitted for legal, regulatory, fraud prevention and marketing purposes; (iv) the use of your personal information to send you information about products, services, and special offers of the various companies in The Wine Girl Cape Town or ROSE & MCC FEST that may be of interest or value to you; (v) a credit enquiry being conducted about you with any credit bureau or credit provider and providing your personal information to credit risk management services (including a credit bureau). You can choose to be excluded from direct marketing by notifying The Wine Girl Cape Town or ROSE & MCC FEST in writing or by registering a block on any registry which The Wine Girl Cape Town and ROSE & MCC FEST is bound by law to recognise. The Wine Girl Cape Town and ROSE & MCC FEST will not charge you a fee to update this request on its systems. The Wine Girl Cape Town and ROSE & MCC FEST will give effect to any changes requested by you as soon as reasonably possible. KRONE MCC COMPETITION – closed. 1 x box containing 6 x bottles of KRONE Night Nectar Demi-Sec Rosé MCC. This competition is run by The Wine Girl Cape Town and is no way sponsored, endorsed or administered by Facebook. You understand that you are providing your information to the Wine Girl Cape Town and KRONE and not to Facebook. The information you provide will only be used by The Wine Girl Cape Town and KRONE. The competition will run from Monday, 11 December 2017 up until and including midnight on Wednesday, 13 December 2017. In order to enter the competition, you must comment on The Wine Girl Cape Town’s competition post on Facebook tagging all the friends you would share this box of MCC with. The draw for one lucky winner will happen within 3 days of the closing date of the competition. You are a Director, member, partner, employee, agent or consultant of The Wine Girl Cape Town or KRONE. You are an immediate family member, of the persons specified in 8(a). The winner’s day time delivery address and cell phone number will be required to claim the prize. The prize will consist of: 1 x box containing 6 bottles of Krone MCC valued at R120 each. Winners will be contacted via Facebook direct message from The Wine Girl Cape Town. 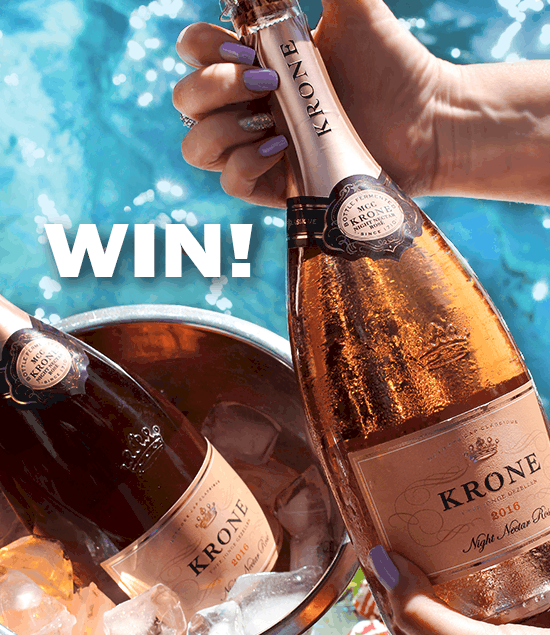 The Wine Girl Cape Town and KRONE reserves the right to post content that winners have submitted, i.e. a picture of the winners. The Wine Girl Cape Town, KRONE and their delivery agent does not accept responsibility or liability for any loss or damage and will also not be responsible or liable for any further expenses or fees required for purpose of using, applying or enjoying the prize won in this competition. Winners give The Wine Girl Cape Town and The KRONE, and its authorized agents consent to use their names for publicity purposes, unless refused. The Wine Girl Cape Town and KRONE reserves the right to vary, suspend, postpone or terminate the competition and any prizes, or any aspect thereof, for any reasons whatsoever and without notice. In such event, you hereby waive any rights or expectations which you may have against The Wine Girl Cape Town or KRONE and acknowledge that you will not have any recourse or claim of any nature against The Wine Girl Cape Town and The KRONE. By participating in this competition, you consent to (i) the processing of your personal information by The Wine Girl Cape Town, KRONE and other companies in these companies, any of their operators, commercial partners, agents and sub-contractors (who may be outside South Africa) on the condition that they will keep such information confidential; (ii) the collection of your personal information from any other source to supplement the personal information which The Wine Girl Cape Town and KRONE has about you; (iii) the retention of your personal information for as long as permitted for legal, regulatory, fraud prevention and marketing purposes; (iv) the use of your personal information to send you information about products, services, and special offers of the various companies in The Wine Girl Cape Town or KRONE that may be of interest or value to you; (v) a credit enquiry being conducted about you with any credit bureau or credit provider and providing your personal information to credit risk management services (including a credit bureau). You can choose to be excluded from direct marketing by notifying The Wine Girl Cape Town or KRONE in writing or by registering a block on any registry which The Wine Girl Cape Town and KRONE is bound by law to recognise. The Wine Girl Cape Town and KRONE will not charge you a fee to update this request on its systems. The Wine Girl Cape Town and KRONE will give effect to any changes requested by you as soon as reasonably possible. ROBERTSON WINERY COMPETITION – closed! Congrats to the winner! Megan Morgan! 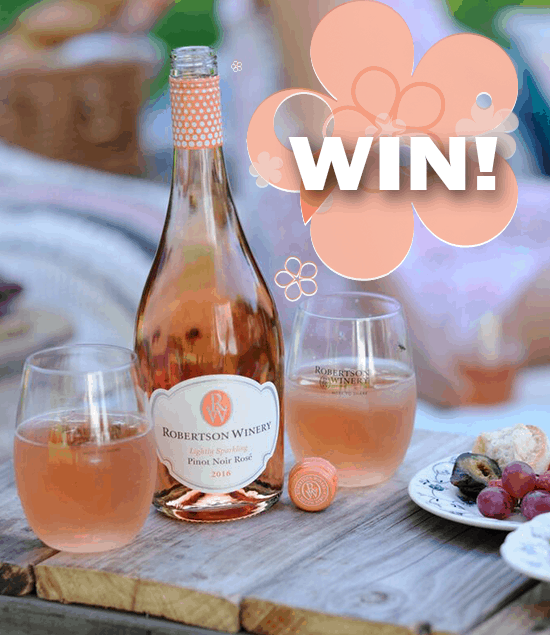 You have won 1 x box containing 2 x bottles of Robertson Winery Lightly Sparkling Wines. This competition is run by The Wine Girl Cape Town and is no way sponsored, endorsed or administered by Facebook. You understand that you are providing your information to the Wine Girl Cape Town and Robertson Winery and not to Facebook. The information you provide will only be used by The Wine Girl Cape Town and Robertson Winery. The competition will run from Wednesday, 25 October 2017 up until and including midnight on Sunday, 29 October 2017. In order to enter the competition, you must comment on The Wine Girl Cape Town’s competition post on Facebook, use the hashtag #moretoshare, and tag the friends you would share the wine with. You are a Director, member, partner, employee, agent or consultant of The Wine Girl Cape Town or Robertson Winery. You are an immediate family member, of the persons specified in 6(a). The winner’s day time delivery address and cell phone number will be required to claim the prize. The prize will consist of: 2 x Robertson Lightly Sparkling Wines valued at R55 each. Winners will be contacted via Facebook direct message from The Wine Girl Cape Town. The Wine Girl Cape Town and Robertson Winery reserves the right to post content that winners have submitted, i.e. a picture of the winners. The Wine Girl Cape Town, Robertson Winery and their delivery agent does not accept responsibility or liability for any loss or damage and will also not be responsible or liable for any further expenses or fees required for purpose of using, applying or enjoying the prize won in this competition. 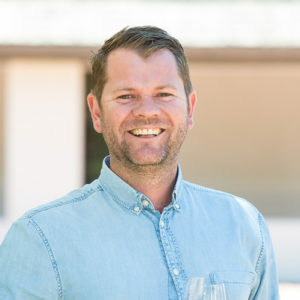 Winners give The Wine Girl Cape Town and The Robertson Winery, and its authorized agents consent to use their names for publicity purposes, unless refused. The Wine Girl Cape Town and Robertson Winery reserves the right to vary, suspend, postpone or terminate the competition and any prizes, or any aspect thereof, for any reasons whatsoever and without notice. In such event, you hereby waive any rights or expectations which you may have against The Wine Girl Cape Town or Robertson Winery and acknowledge that you will not have any recourse or claim of any nature against The Wine Girl Cape Town and The Robertson Winery. By participating in this competition, you consent to (i) the processing of your personal information by The Wine Girl Cape Town, Robertson Winery and other companies in these companies, any of their operators, commercial partners, agents and sub-contractors (who may be outside South Africa) on the condition that they will keep such information confidential; (ii) the collection of your personal information from any other source to supplement the personal information which The Wine Girl Cape Town and Robertson Winery has about you; (iii) the retention of your personal information for as long as permitted for legal, regulatory, fraud prevention and marketing purposes; (iv) the use of your personal information to send you information about products, services, and special offers of the various companies in The Wine Girl Cape Town or Robertson Winery that may be of interest or value to you; (v) a credit enquiry being conducted about you with any credit bureau or credit provider and providing your personal information to credit risk management services (including a credit bureau). You can choose to be excluded from direct marketing by notifying The Wine Girl Cape Town or Robertson Winery in writing or by registering a block on any registry which The Wine Girl Cape Town and Robertson Winery is bound by law to recognise. The Wine Girl Cape Town and Robertson Winery will not charge you a fee to update this request on its systems. The Wine Girl Cape Town and Robertson Winery will give effect to any changes requested by you as soon as reasonably possible. The computer generated draw for our #wineontheriver competition with Robertson Wine Valley has taken place. Congratulations to our winner, Tania Fester-Prince. She has won 2 x tickets valued at R280 each! Thank you for all your entries and stay tuned for more competitions on my page. Note: Winner’s travel to and from The Robertson Wine Valley Wine on the River event as well as any accommodation, additional beverages or food is for the winner’s own account. This competition is run by The Wine Girl Cape Town and is no way sponsored, endorsed or administered by Facebook. You understand that you are providing your information to the Wine Girl Cape Town and Roberson Wine Valley Wine on the River Festival and not to Facebook. The information you provide will only be used by The Wine Girl Cape Town and Roberson Wine Valley Wine on the River Festival. The competition will run from Wednesday, 30 August 2017 up until and including midnight on Wednesday, 13 September 2017. In order to enter the competition, you must comment on The Wine Girl Cape Town’s competition post on Facebook and tag the friend or partner that you would like to bring with you. The draw for one lucky winner will happen within 24 hours of the closing date of the competition. You are a Director, member, partner, employee, agent or consultant of The Wine Girl Cape Town or Roberson Wine Valley Wine on the River Festival. 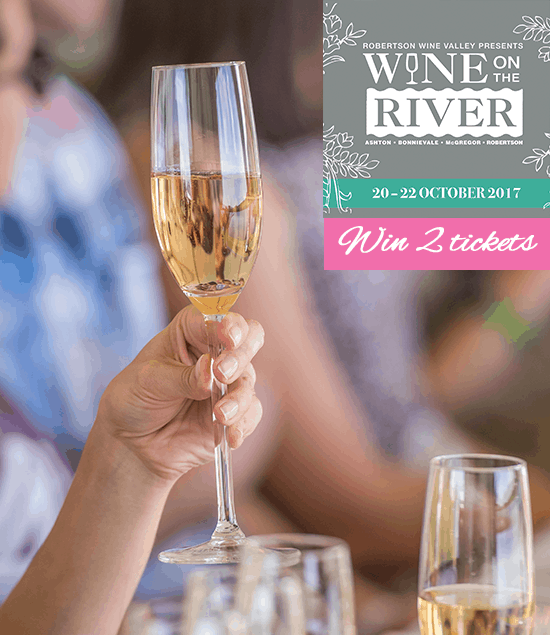 The prize does not cover any travel, food, extra beverages or accommodation costs to or from Roberson Wine Valley Wine on the River Festival in the Western Cape and is therefore for the winner’s own account. Winners will be contacted via Facebook direct message from The Wine Girl Cape Town. The Wine Girl Cape Town and Roberson Wine Valley Wine on the River Festival reserves the right to post content that winners have submitted, i.e. a picture of the winners. The Wine Girl Cape Town, Roberson Wine Valley Wine on the River Festival and their delivery agent does not accept responsibility or liability for any loss or damage and will also not be responsible or liable for any further expenses or fees required for purpose of using, applying or enjoying the prize won in this competition. Winners give The Wine Girl Cape Town and The Roberson Wine Valley Wine on the River Festival, and its authorized agents consent to use their names for publicity purposes, unless refused. The Wine Girl Cape Town and Roberson Wine Valley Wine on the River Festival reserves the right to vary, suspend, postpone or terminate the competition and any prizes, or any aspect thereof, for any reasons whatsoever and without notice. In such event, you hereby waive any rights or expectations which you may have against The Wine Girl Cape Town or Roberson Wine Valley Wine on the River Festival and acknowledge that you will not have any recourse or claim of any nature against The Wine Girl Cape Town and The Roberson Wine Valley Wine on the River Festival. By participating in this competition, you consent to (i) the processing of your personal information by The Wine Girl Cape Town, Roberson Wine Valley Wine on the River Festival and other companies in these companies, any of their operators, commercial partners, agents and sub-contractors (who may be outside South Africa) on the condition that they will keep such information confidential; (ii) the collection of your personal information from any other source to supplement the personal information which The Wine Girl Cape Town and Roberson Wine Valley Wine on the River Festival has about you; (iii) the retention of your personal information for as long as permitted for legal, regulatory, fraud prevention and marketing purposes; (iv) the use of your personal information to send you information about products, services, and special offers of the various companies in The Wine Girl Cape Town or Roberson Wine Valley Wine on the River Festival that may be of interest or value to you; (v) a credit enquiry being conducted about you with any credit bureau or credit provider and providing your personal information to credit risk management services (including a credit bureau). You can choose to be excluded from direct marketing by notifying The Wine Girl Cape Town or Roberson Wine Valley Wine on the River Festival in writing or by registering a block on any registry which The Wine Girl Cape Town and Roberson Wine Valley Wine on the River Festival is bound by law to recognise. The Wine Girl Cape Town and Roberson Wine Valley Wine on the River Festival will not charge you a fee to update this request on its systems. The Wine Girl Cape Town and Roberson Wine Valley Wine on the River Festival will give effect to any changes requested by you as soon as reasonably possible.